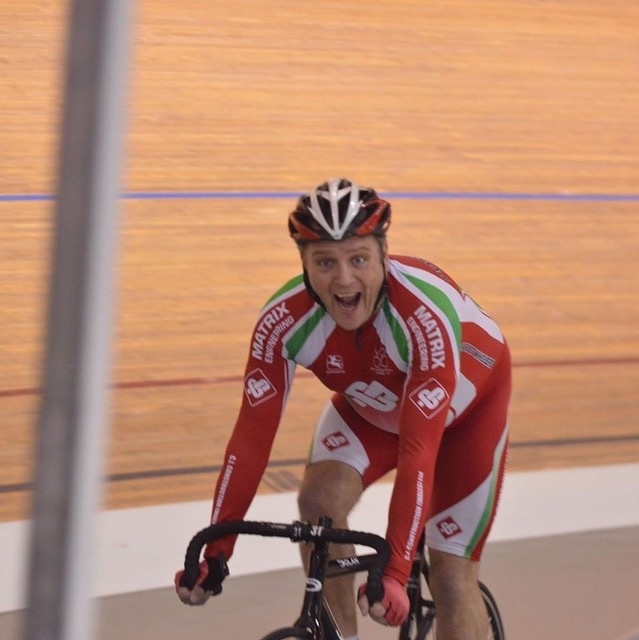 See below for a write up of the latest track session (22nd April) written by Matt Smith. 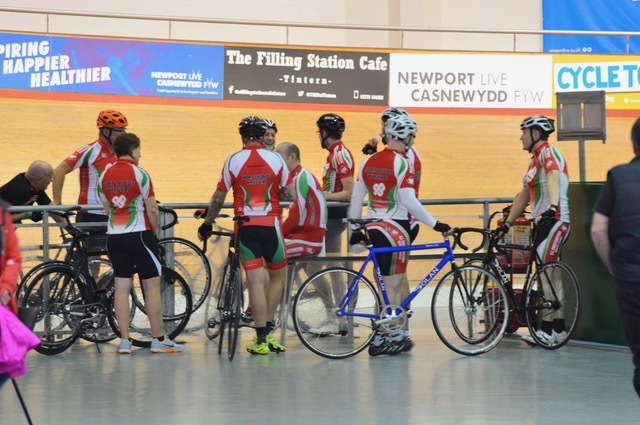 After spending the cold and icy winter training outdoors, it was only natural that the club would take over the Newport Velodrome for a couple of hours on a gloriously sunny day! 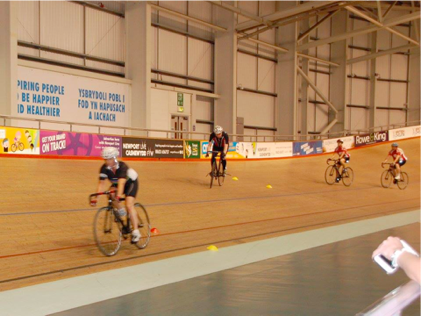 As with the previous track session, we managed to take a mixture of track novices and riders with some experience. 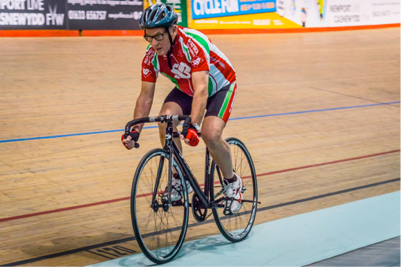 We took to the track for a short warm up while the beginner group got used to the strange sensation of riding a fixed wheel bike in the centre of the track. Then it was their turn to hit the boards for the first time under the guidance of our very lovely coach, Naomi. Time was flying by and the smiles were the width of the track. Soon it came time to face the stopwatch. 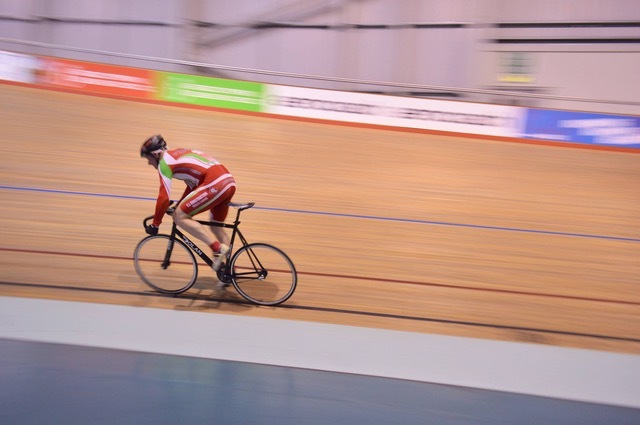 For the riders who had some track experience the challenge was a 500m time trial (2 laps) while the novices were to face a single 250m flying lap. Alf frightened the life out of Mandy with a storming lap to take first place, followed closely by Danny and an impressive effort from Will for third place showing that there’s life in the… err… “young pup” yet. 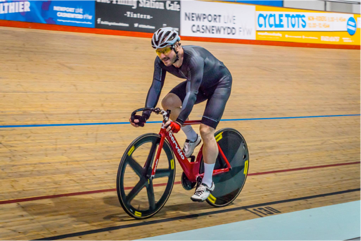 The first Port Talbot Wheelers track session of 2017 took place on Monday at the Wales National Velodrome in Newport. 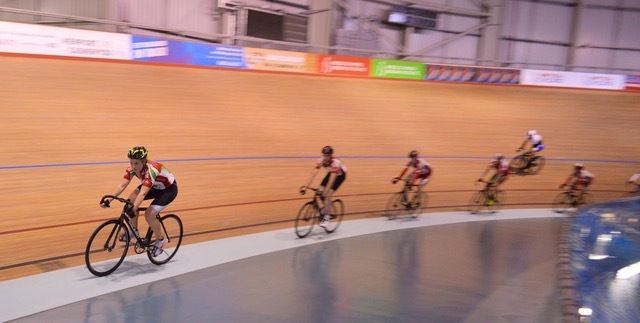 There was a mix of experience from track newbies to track regulars. 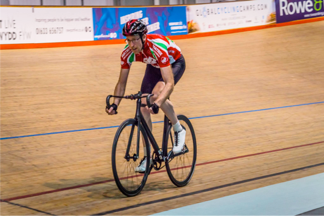 The group was divided to start so that those with some experience riding a fixed wheel bike could get used to the track bikes while riding on the “côte d’azur" while the newbies were briefed by the coach before their first ride around the concrete infield. Gradually everyone made their way on to the wooden boards. Confidence was growing lap after lap, and so we began the group activities. 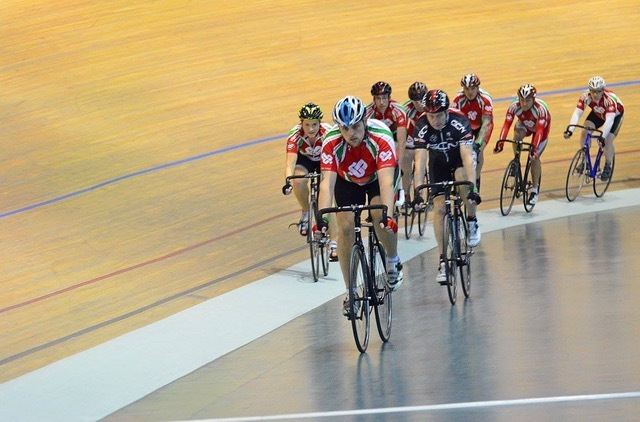 First was the “take a lap” challenge where the rider on the front would sprint away from the group and slot on to the back. Then came the big final. 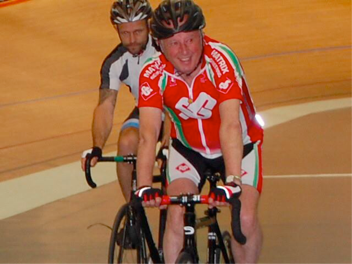 A timed lap of the track, but with only a very short run up to the start line. 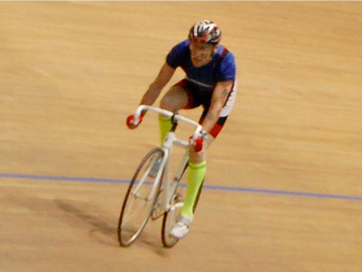 David “Hoy” Hendry used his magnificent thighs to great effect to be the clear winner with a time of just 19.62 seconds. This weekend of the 24th and 25th September sees the return of the annual Hill Climb event. 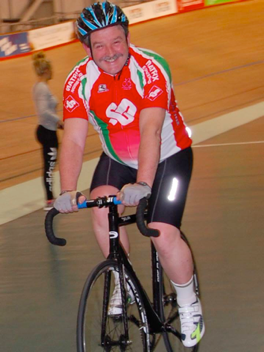 Saturday will be the Norton short sharp climb and Sunday will be the gruelling Bwlch climb. Both Events will have a ride to the start, leaving the plaza at 10am aiming for an 11am start. There could be some competition to take the crown from last years winner Morgan Hendry. 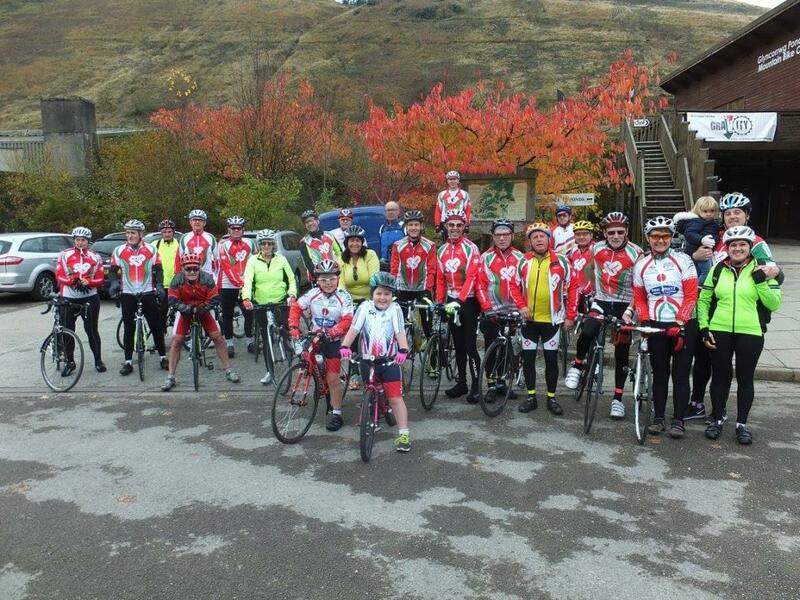 Ramblers ride, Tomorrow at 9:30am (Unless its a Family ride when its 10am). Club run at 10am.